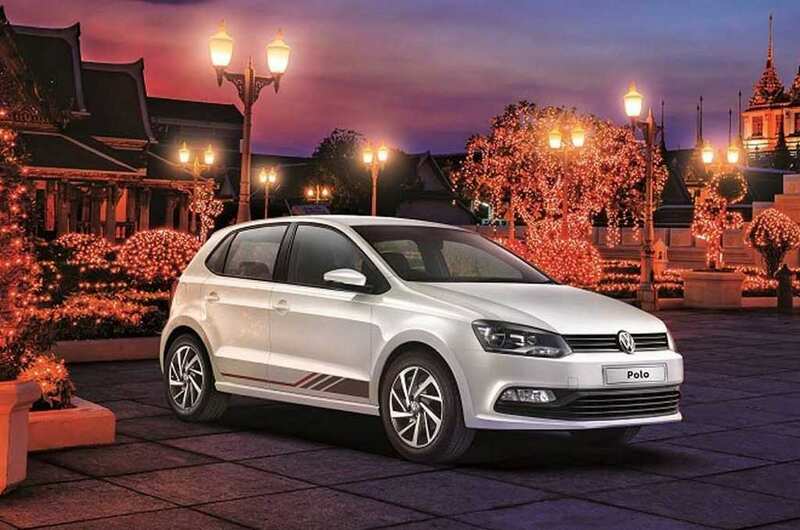 Volkswagen has launched the Anniversary Editions of Polo hatchback and Ameo sedan. The cars have been launched as part of the Volkfest 2017 and they come priced at Rs. 5.99 lakh and Rs. 5.79 lakh (ex-showroom) respectively. 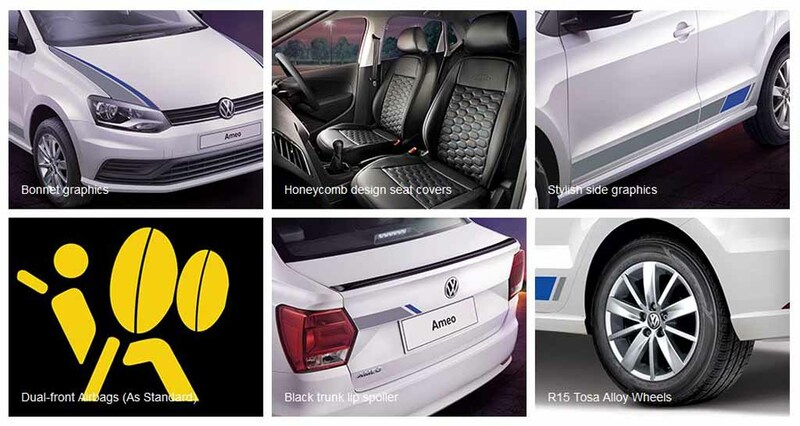 The special edition Polo and Ameo arrive with several cosmetic upgrades at exterior and inside the cabin. Both these models are based on the Comfortline trim. 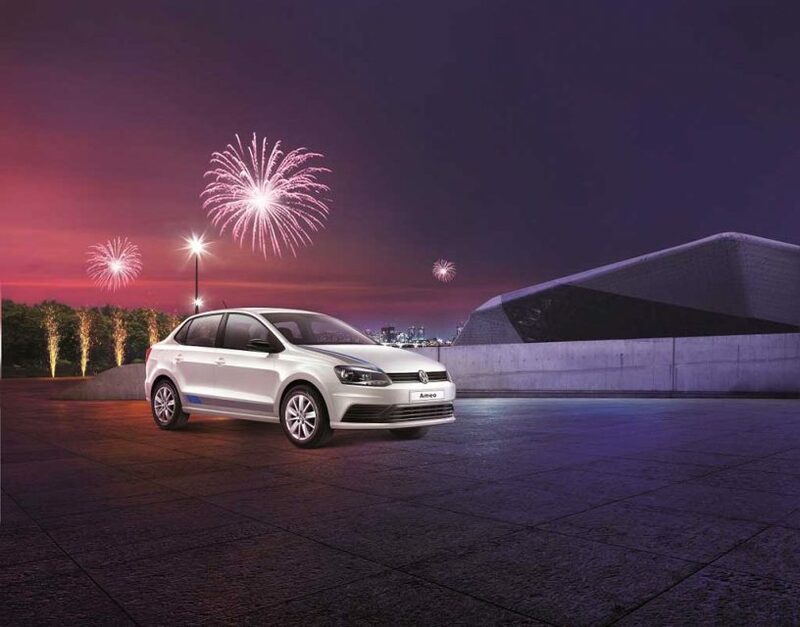 The Volkswagen Polo Anniversary Edition appears distinctive compared to the regular model thanks to the bi-colour stripes at the side profile along with the 15-inch dual-tone Razor alloy wheels. 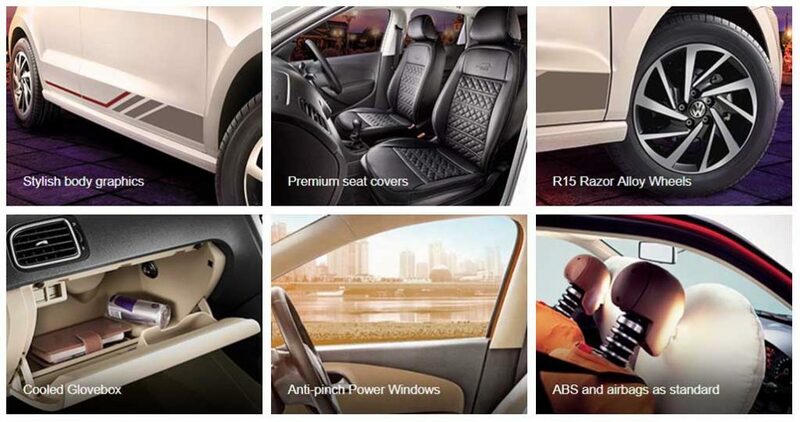 Inside the cabin, it features premium black seat covers enhancing the style further. Apart from these changes, the premium hatchback gets all the features available in the standard Volkswagen Polo Comfortline. Speaking about the Volkswagen Ameo Anniversary Edition, it runs on 15-inch Tosa alloy wheels and receives blackened ORVM caps. It also wears special body graphics on the hood, at side profile and on boot lid as well. Apart from that, there is a black boot spoiler as well enhancing the style further. Inside the cabin, Volkswagen Ameo Anniversary Edition gets honeycomb pattern black seat covers enhancing the upmarket feel. This special edition Ameo gets all the standard features available in the Comfortline trim of the regular model. On the powertrain front, both the special edition models arrive with same engine and transmission options with unchanged power and torque output. Thanks to these special edition models, German automaker is expecting to see sales surge ahead of upcoming festive season. 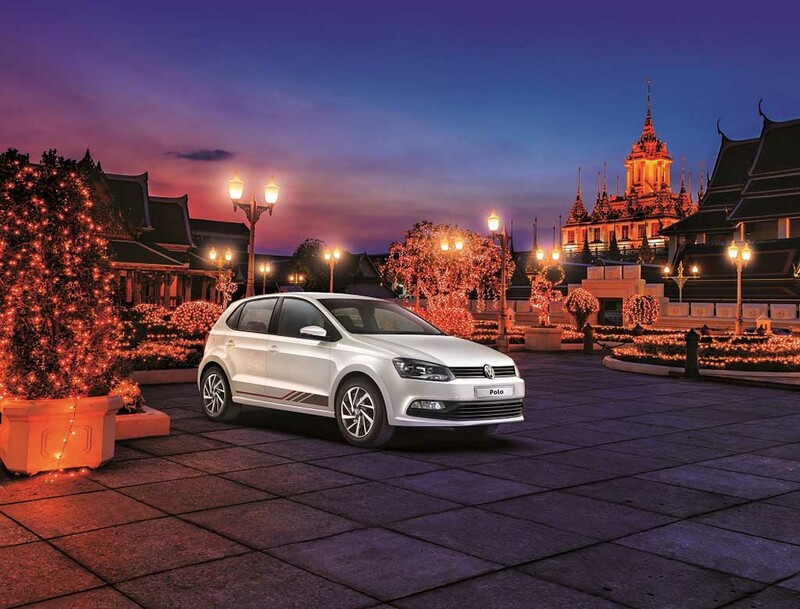 The Volkfest 2017 is being celebrated to mark the automakers 10th anniversary in India and apart from launching the special edition models, Volkswagen is also offering exchange befits up to Rs. 20,000 on its cars. It is also offering loyalty bonus up to Rs. 20,000, gifts on test drives. It is also offering special discounts on service and spare parts.